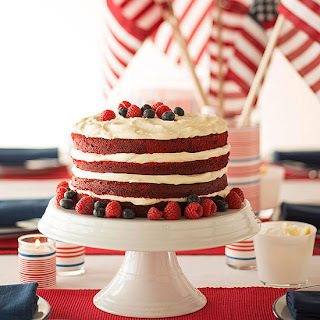 Sweet and juicy watermelon is standard fare for summer holidays, but why settle for a slice when you can go for a split? 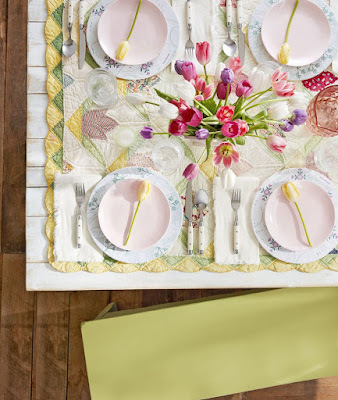 Cut bananas in half lengthwise and place the halves on plates. 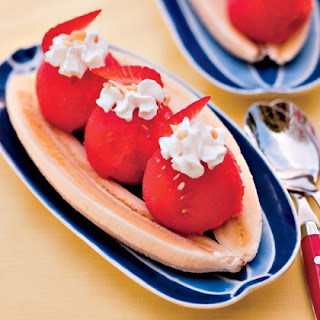 Top with watermelon balls formed with an ice-cream scoop. 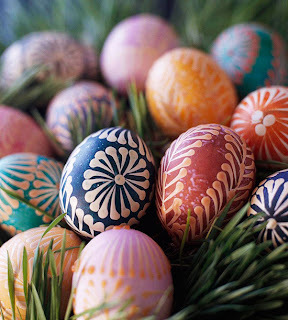 Add dollops of whipped cream, then sprinkle on berries and chopped nuts or granola. Wave the flag proudly — then feed the troops! First, skewer mini ice-cream sandwiches on popsicle sticks. 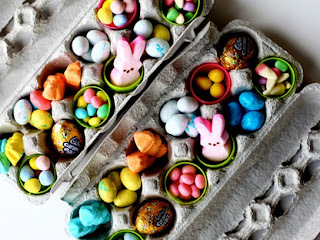 Then, press the exposed filling into a plate of sprinkles or nonpareils. 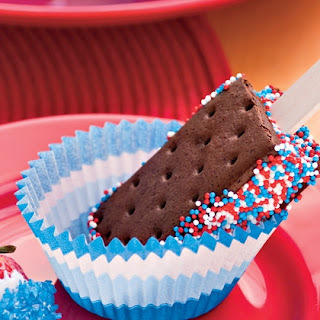 To keep mess to a minimum, serve the pops in colorful cupcake liners. 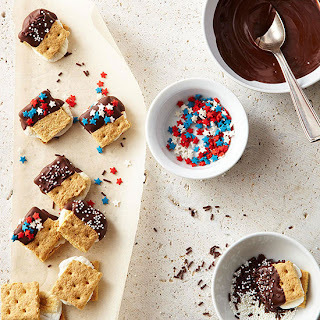 You don't need to sit around a campfire to make these mini summer desserts -- just pop marshmallows sandwiched between graham cracker squares underneath the broiler for a few seconds, then dip them in melted chocolate. For a July 4th, Memorial Day or Labor Day gathering, sprinkle with festive nonpareils and sprinkles. Red velvet cake and whipped cream-cheese frosting are already a perfect pair, but fresh blueberries and raspberries add that perfect patriotic touch for July 4th., Memorial Day or Labor Day. 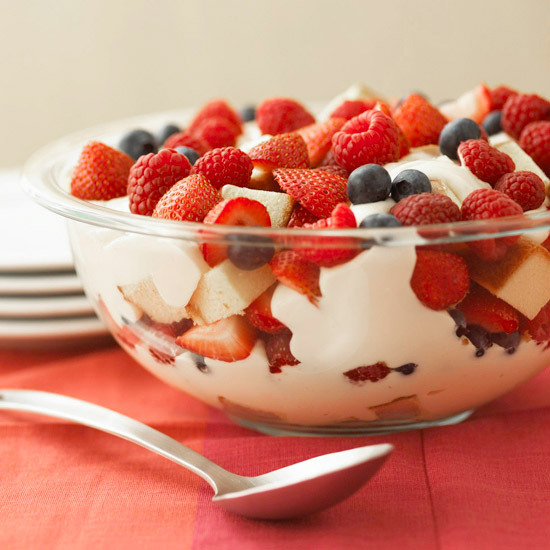 For a sweet treat that isn't packed with calories and fat, try this pretty parfait. 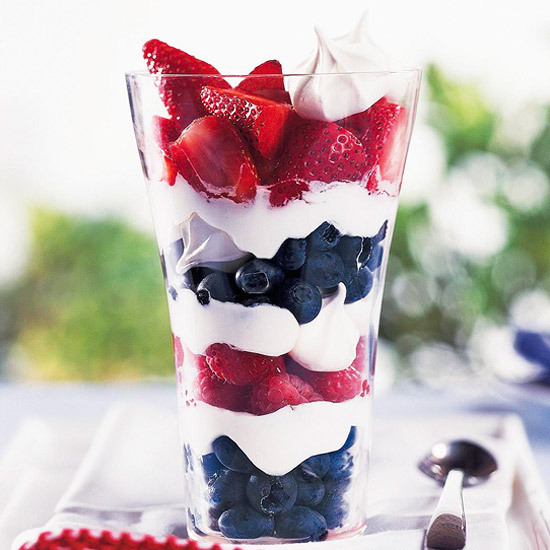 Fresh blueberries and strawberries layered between low-fat vanilla yogurt add easy red-white-blue flair to this tasty dessert. 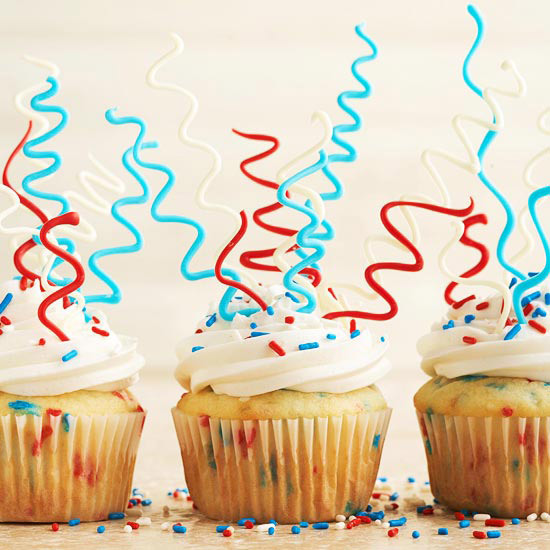 Confetti cupcakes will be the hit of your party with a few festive add-ons. 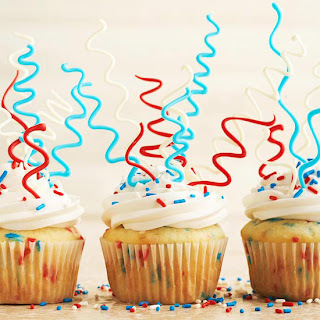 Firework-inspired swirls and colorful sprinkles dress up these cupcakes. Add blueberries, raspberries, and strawberries to a creamy vanilla pudding and cubed pound cake mixture to make this easy (just 25 minutes of prep work!) 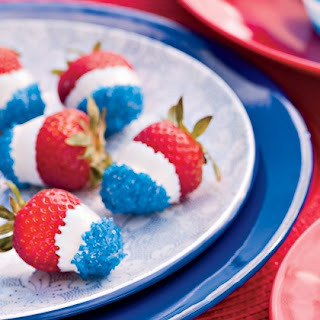 patriotic summer dessert.